If you are unaware of what is like to travel in Thailand, as a word of warning, Thai roads are among the most dangerous in the world, if the not in the top spot. The last report showed that on average, 38 road deaths occur daily in Thailand. Using any form of transport in the country has its risks, however driving is definitely the most-risky, so buckle up and wear a helmet if you are on the roads. Personally, I am an adrenaline junkie, so taking a bus would be my first choice, not for the fact that it is the least expensive, but because I have a need to risk my life to feel alive. To start the trip you would first need to make your way to the Southern Bus Terminal in Bangkok to catch the bus. From the Southern Terminal, also known as the Sai Tai Mai Bus Terminal, you will take a bus around 870 Kilometers for 12:00 hours, probably. The trip distance and duration by bus is roughly the same if you depart from the Mo Chit Bus Station. After you get to Mo Chit bus terminal, make your way to the departures area for the South of Thailand. Departure times are similar to those at the Southern Bus Terminal, so choose which station to depart from based on your ease of access. Most of Bangkok would find Mo Chit more accessible, but for those who are staying around Khao San Road and are not connected to the main transit network of the city would find it easier to reach the Southern Bus Terminal. Although it is not possible to take a train directly to Phuket, you can take a train from Bangkok to Surat Thani, and then take a bus from Surat Thani to Phuket. Trains depart from Bangkok Hua Lamphong railway station heading south to Surat Thani quite frequently. The best option is to take one of the overnight trains. 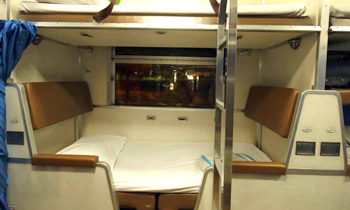 There are nine trains daily that offer a sleeper option with a total of 12 trains each day that have seats only. 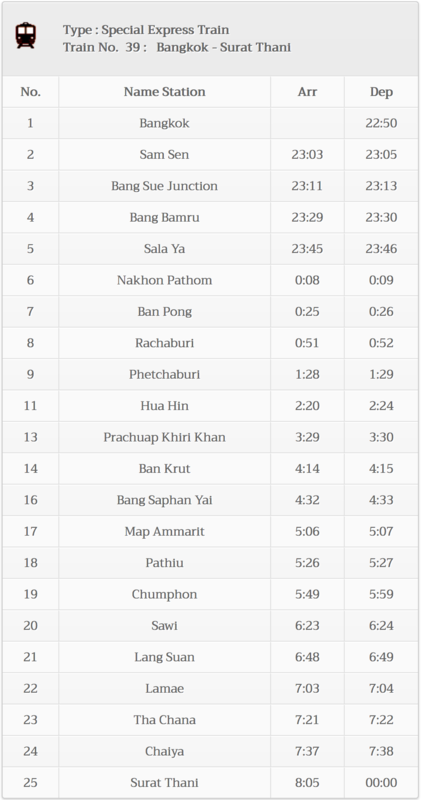 The most popular and choice is to take the train that leaves Bangkok at 19:30 and arrives Surat Thani at 7:06. No matter which train you take there will be some sort of food service available, whether it be from a vendor who boards the train at one of the main stations along the way or from the trains dining car. Although the options are available, the food from the train can be quite expensive, so we recommend buying some food nearby Hua Lamphong station before you depart. Snacks and breakfast items could be bought from the nearby 7-11 while dinner items such as grilled chicken and sticky rice can be found at a local food stall across the street from the station. Once you arrive Surat Thani train station you will need to make your way to the Surat Thani bus depot located in Surat Thani town. The cheapest way to do this is to take the orange bus that you will find to the left of the main entrance. Buses depart to Surat Thani town about every 15 minutes and takes around 45 minutes. The bus costs around 20 baht. Alternatively, you could take a taxi which will cost about 150 baht at a fixed rate and takes 20 minutes. Once you are at the bus depot, you will have to find a bus to Phuket. You could opt for a minivan, which may be a bit uncomfortable and possibly cause a heart attack as the minivan drivers throughout Thailand are known to drive wildly. Minivans can be booked at a travel agent near the bus station along Talad Mai Road. Cost is about 300 baht and travel time is around 4 hours. A local public bus from Surat Thani to Phuket will cost 150 baht and takes around 6 1/2 hours. Tickets will be purchased at the station. Public buses depart six times daily from 6:00 to 15:00. A private bus from Phantip Travel Company costs 230 baht and takes about 5 hours. They have six departures daily between 7:00 and 15:30. Tickets would be purchased at their office on Talad Mai Road ( between Talad Mai Alley 8 and Talad Mai Alley 10 ). Another option is to take a bus from the Surat Thani train station to Phuket using the once a day departure operated by Phantip Travel Company. This bus leaves the train station at 7:45 and arrives Phuket at 11:45. 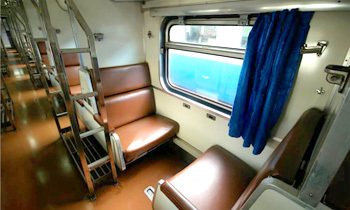 As all of these options are quite cumbersome and require a lot of transfers and therefore headaches in dealing with different people and finding your way around unknown areas, the best option would be to purchase a combination ticket from the Hua Lamphong railway station in Bangkok which will include the train ticket as well as the bus ticket from Surat Thani to Phuket. This option eliminates the need to deal with the hassles of transfers as all transfers are included in the price and operated professionally. Getting from the bus terminal in Phuket Town to your hotel or beach area is another issue you will face. Options are to take a taxi, which prices will be steep at about 700 baht, or to take a shared minivan for 200 baht. If you are dropped off at the Phuket Local Bus station located on Ranong Road you could take one of the blue songtheaws that connect to the beaches. Destination beaches are listed on the songtheaw. The most convenient and fastest ways to get from Bangkok to Phuket is to fly. There are over 55 flights daily departing Bangkok from either Suvarnabhumi airport or Don Muang Airport. All major regional carriers operate this route. Prices vary depending on the carrier, with low cost airlines operating flights for as cheap as 600 baht if you book in advance and get a promo deal. Most low-cost carriers offer flights for an average of 1,500 baht, depending on season. Once you arrive the Phuket airport you will need to either take a taxi, airport bus or a shared minivan to your hotel or beach destination. Shared minivans cost between 180 and 200 baht while the airport bus costs between 150 and 200 baht. Taxis cost about 800 to 1,100 baht. After looking at all of the options and their particular obstacles and hurdles, traveling from Bangkok to Phuket can be considerably easy and somewhat cheap using any of the options such as bus, train or plane. Your choice should depend on your budget, comfort level and time constraints.